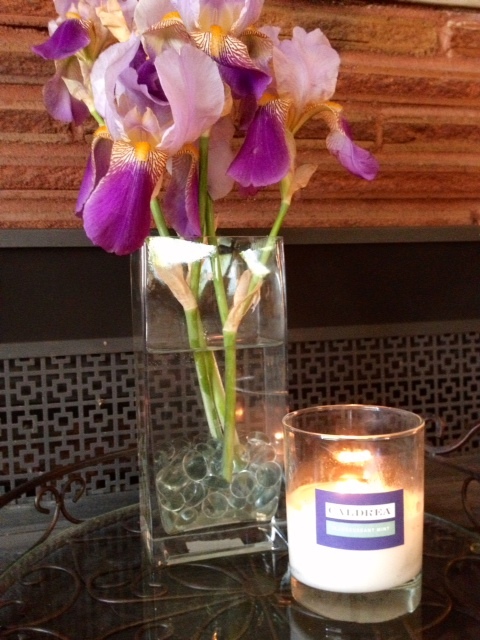 One of my favorite gifts to give and receive is a lovely, scented candle. I have been drawn to candles for most of my life and find them to be welcoming, comforting and add a touch of elegance in a home. Finding a wonderful glow isn’t that difficult but, finding the right scent can be. Scent is a touchy thing, there’s the sense memory aspect (“This reminds me of some nasty perfume my grandma wore!”) and some scents are too much for some and can bring on a head ache. Nobody wants that. There’s a product line, sold exclusively at Target, that has some of the most wonderful scents I’ve found and I think they would make for a great Mother’s Day Gift, Caldrea Essential Collection and their latest scent Blackcurrant Mint. Caldrea Essential Collection’s latest fragrance Blackcurrant Mint is now available in their full line of products for the home; dish soap, counter top cleaner, hand soap, hand lotion. Also available in their scent diffuser and candles. All Caldrea’s products are biodegradable They use the finest plant-derived ingredients and essential oils to create great fragrances and cleaning potency. Not only does my kitchen get clean, it smells yummy too! You can find Caldrea Essential Collection at Target or online at Target.com.